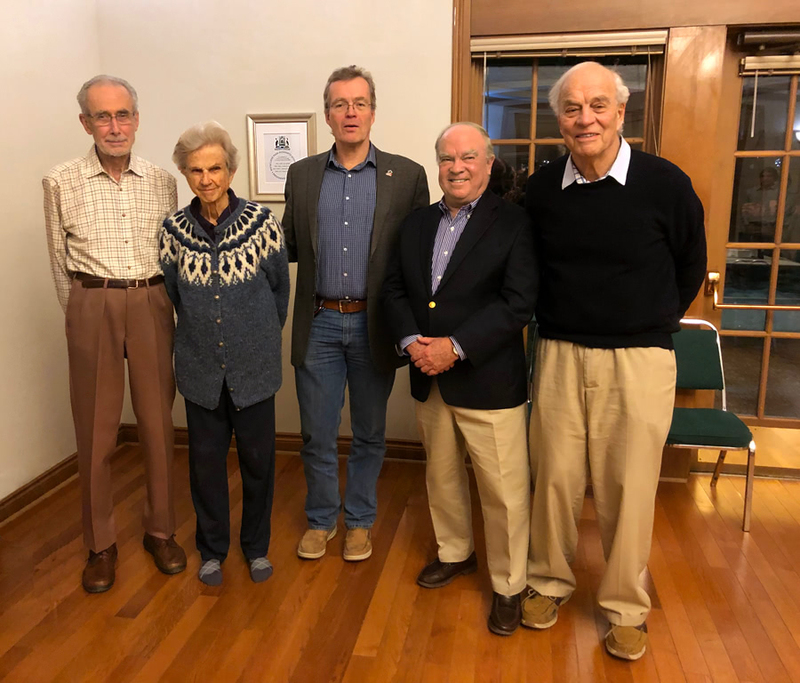 On November 21 at the Community Hall, the RPRA honoured with a plaque the four former presidents of the RPRA. These are left to right Anthony Keith, Jane Dobell, Peter Lewis, Brian Dickson and Alex Macklin. The RPRA was established in 2001, upon amalgamation with the City of Ottawa, to be the interface between the Village and the newly enlarged city and to continue to protect its heritage character, its natural environment and encourage a sense of community. Jane Dobell was its founding president (2001 – 2004), followed by Anthony Keith (2005 – 2007), Alexander Macklin (2007 – 2008) and Brian Dickson (2009 – 2016).